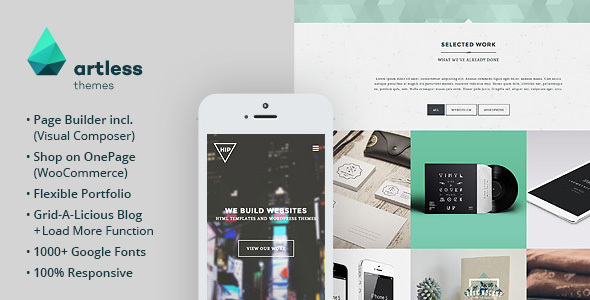 Hip is a creative, flat and modern designed parallax OnePage WordPress Theme, based on a responsive 12 column grid. It comes with the easy to use Drag & Drop Page Builder Visual Composer. It’s perfect as portfolio for agencies, creative studios and many more. All Hip exlusive features are integrated to the Page Builder. No need to remember any shortcode.You can run Hip as an OnePage. Just one click in the Theme Options to enable it.The theme comes with 1000+ Google Fonts and 350+ Icons by Font Awesome.